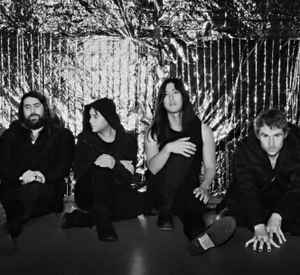 HEALTH is an noise rock band, from Echo Park, Los Angeles, consisting of four members including Benjamin Jared Miller, Jake Duzsik, John Famiglietti, and Jupiter Keyes. All are from different cities including Seattle, San Diego, and their current home base, Los Angeles. Jake met Jupiter in college. John met Jake in a guitar store. Jared was drawn to the fold by way of Internet courtship. The band is often considered noise rock, but besides having some slight elements of the genre, they don’t fit the sound of other, current bands included in the noise rock scene, due to them mixing such genres as dance and electronica. HEALTH plan to tour continuously doing what they love and do best, make eccentric and original music. Where is the new album Vol. 4 Slaves of Fear? [HEALTH & Youth Code collaboration. 1 track : "Innocence". For those of you that don't know already, this was given to the world on November 8th, 2018. I realize I could just make a proper addition to this page but, I imagine someone else will at some point anyway. Just wanted to make it known to the people that possible haven't heard it yet as it is, in my opinion, pretty badass (but way too short). learned about these fellas through eric andre. pretty good innit? These guys are really awesome!